The day starts at 8.30 am. Children may either, be left on the playground, and supervised alongside their friends in the EYFS and in the lower school. At 8.50 all children are greeted by the staff and register for the day. A short, flexible, welcome session follows this. 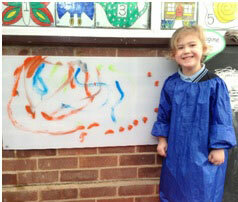 Throughout the day the children access a variety of activities for learning and developing. 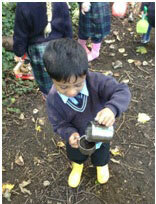 The environment is set up so that children can access the continuous provision. Areas are demarked as: the writing area; the maths area; the book area and book nooks; the creative workshop; role play areas; science area; small world area, construction area; sand and water areas. These activities are set up inside, outside and in the woods. The children may have free flow access to these as appropriate. The children’s learning is child led (they choose for themselves and are supported by adults as appropriate) and adult led (more formal activities are led to teach the children specific skills). Adult led activities include lessons from across the curriculum. We use “Letters and Sounds” to teach discrete phonic sessions. Children in “Little Pedlars” have a qualified PE teacher and Music teacher also. Lunch is at 12 until 1.30 pm. All children have a hot dinner in the dining room which is supervised by the teacher/teaching assistants. After this there is a short quiet time in the activity room (children may listen to a story, draw or listen to music). Children then go out onto the playground, or the field or play on the jungle climber. 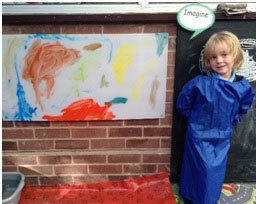 If it is a wet play they may play in the activity room or play games in the sports hall. Lunchtime finishes with a ‘calm down’ and milk or water and quiet games. The afternoon session in “Little Pedlars” continues as before lunchtime until 3 pm. At this point we tidy up, prepare to go home and share books or sing songs. Children are taken either to the gate or boarding house as previously arranged. Why not try a Little Pedlars Taster Day Today?